Inside: Tired of dealing with rust spots on utensils? 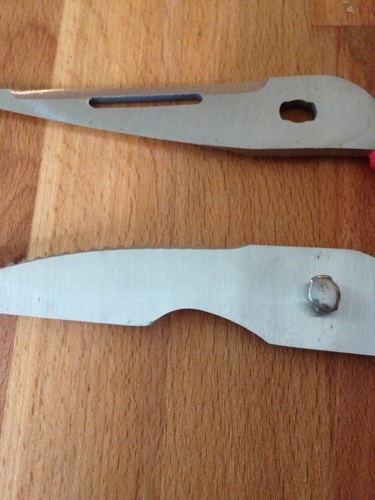 Check out this simple DIY Rust Remover and take those rust stains away. This simple tip easily removes rust at home without any chemicals. I don’t know about you, but I put just about anything in my dishwasher. I feel like everything comes out clean and sanitized. I even put my favorite scissors and knives in the dishwasher. I have heard that is a big no-no. 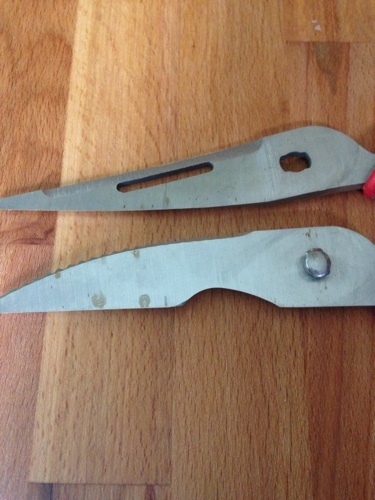 So, I wasn’t too surprised when I noticed my scissors had some rust stains on them. I didn’t want to use anything with chemicals because I use these on foods. But, with some lemon juice and a bit of salt, I easily had the rust stains off. With just a few minutes in the kitchen, you can easily get all the rust stains from your utensils and scissors with this simple DIY rust remover. 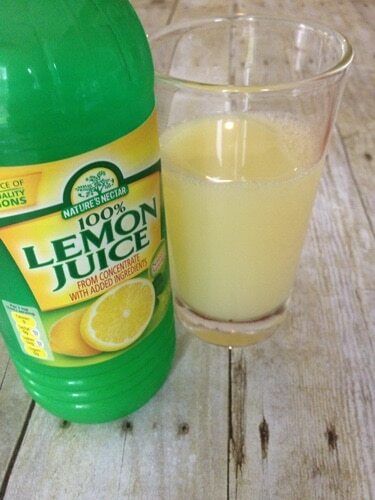 Start with a big glass of lemon juice. These bottles are under $2 at Aldi, so I didn’t mind pouring a big glass. 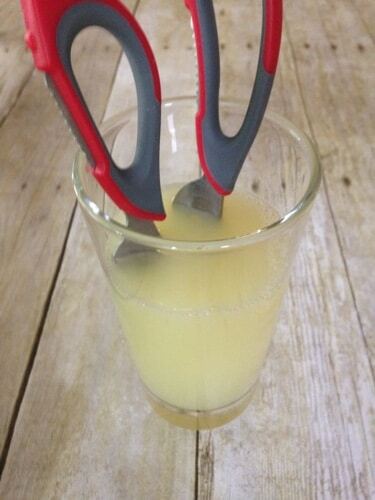 Then place the utensils in the lemon juice mixture. Let them soak for about 10-15 minutes. Once they have soaked for about 10-15 minutes you can wash them off. If the rust stain is still there add a little bit of salt and scrub. The salt will be abrasive and help get the last of the rust stains off. If your stains are very heavy you may need to repeat everything again. My scissors look so much better after getting all the rust off of them. Plus, it’s nice to be able to remove them with safe products and not a bunch of chemicals. 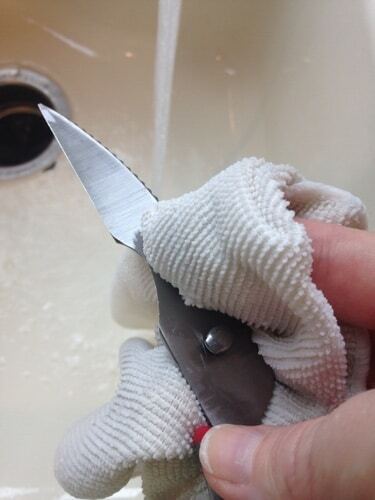 So, if you are dealing with rust stains on your utensils try out this fantastic DIY rust remover to get your knives shiny once more. Looking for some other quick tips? Check out how to remove rust from pots and pans. wow! 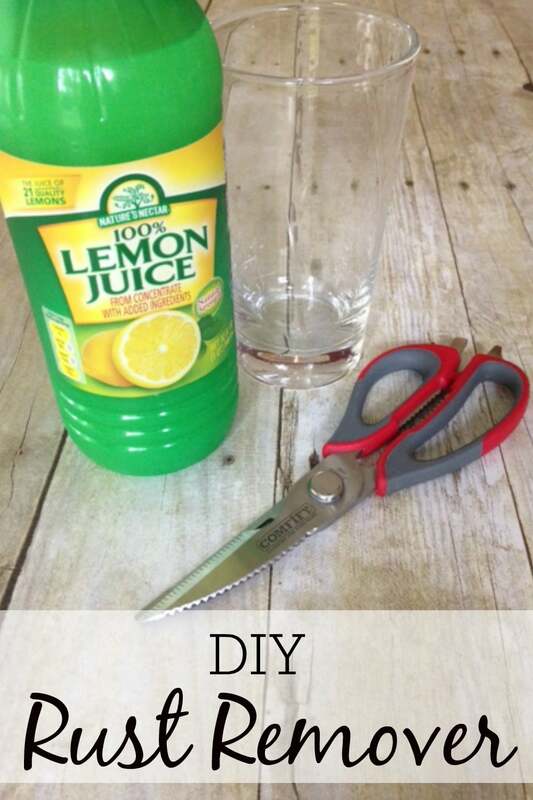 I love finding quick and easy, frugal and safe tips. Thanks so much for sharing this – love Aldi as well, so I’ll add a couple bottles of lemon juice to my next shopping list. You never know when it might come in handy! Get a free cleaning with essential oils printable. Learn how to use essential oils for everyday cleaning.